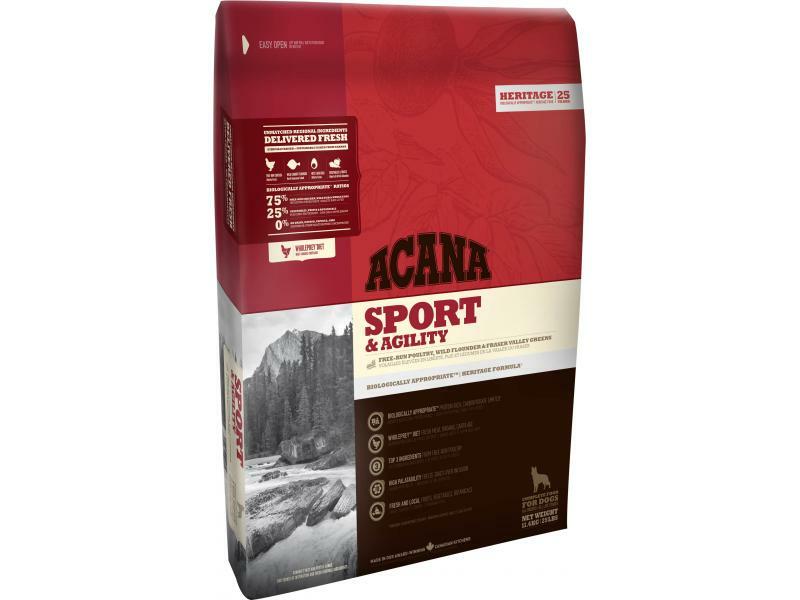 Acana Heritage Sport & Agility Dog Food is a deliciously rich and varied diet for sporting dogs. Composed of varied fresh meats, proteins and fats for sustained activity and endurance. Sport & Agility is brimming with 75% meat, including free-run chicken and whole eggs from prairie farms, and wild-caught arrowtooth flounder from Vancouver Island, delivered fresh for unequalled nourishment and taste. There are currently no questions for Acana Heritage Sport & Agility Dog Food - be the first to ask one!